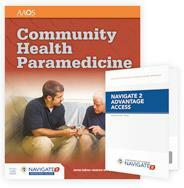 Patients who do not want help or are resistant to medical care present special challenges to EMS. Learn motivational interviewing skills that empower patients to make positive decisions at the Tuesday, Feb 19, NAEMT preconference course at EMS Today in National Harbor, MD. Motivational interviewing is a therapeutic approach that moves an individual away from uncertainty and toward decisions that improve their health. Course registration is $250 after and it is approved for 8 hours of CAPCE CE credit.